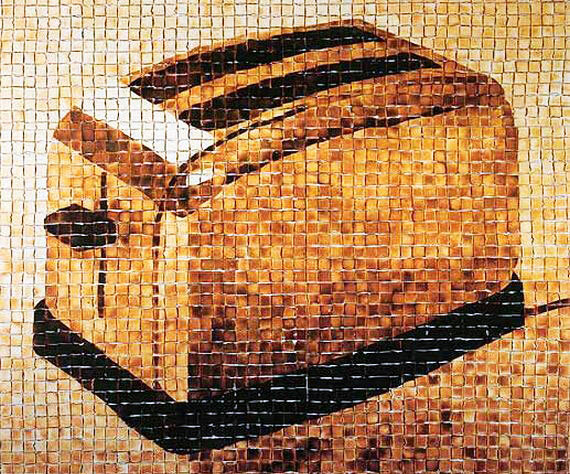 Amazing Toaster Mural Created Out of 2,500 Pieces of Toast! The Toaster is exactly that – a huge rendition of a toaster made entirely out of, yes, you guessed it, toast! This intriguing and quirky masterpiece by Ingrid Falk and Gus­tavo Aguerre was constructed in Buenos Aires, Argentina, over the course of two days from 2,500 slices of bread, which were painstakingly toasted to different degrees of ‘burnt’ and pieced together to form a delicious (but dry) looking mural. The vast range of tones in the work are really impressive and they create a realistic impression of the inanimate object. The pieced-together puzzle of cooked bread certainly provides a fun dose of food for thought. Green design will save the world, and toast artists will waste precious food resources. Whose side are you on, Inhabitat? I had a comment just like "Somebody," and mine wasn't let through moderation the first time. If this blog can't handle negative comments, that's sad. I find it a horrible thing that food is wasted in such a way. We should be focusing on conservation, not this. Ridiculous. While million people are suffering of hunger, an artist is playing with the precious food. Ridiculous. The Toaster is exactly that - a huge rendition of a toaster made entirely out of, yes, you guessed it, toast! This intriguing and quirky masterpiece by Ingrid Falk and Gus­tavo Aguerre was constructed in Buenos Aires, Argentina, over the course of two days from 2,500 slices of bread, which were painstakingly toasted to different degrees of ‘burnt’ and pieced together to form a delicious (but dry) looking mural. The vast range of tones in the work are really impressive and they create a realistic impression of the inanimate object. The pieced-together puzzle of cooked bread certainly provides a fun dose of food for thought.